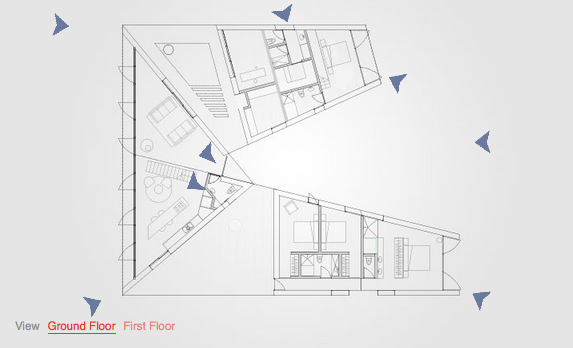 ‘The house is geometry and material. 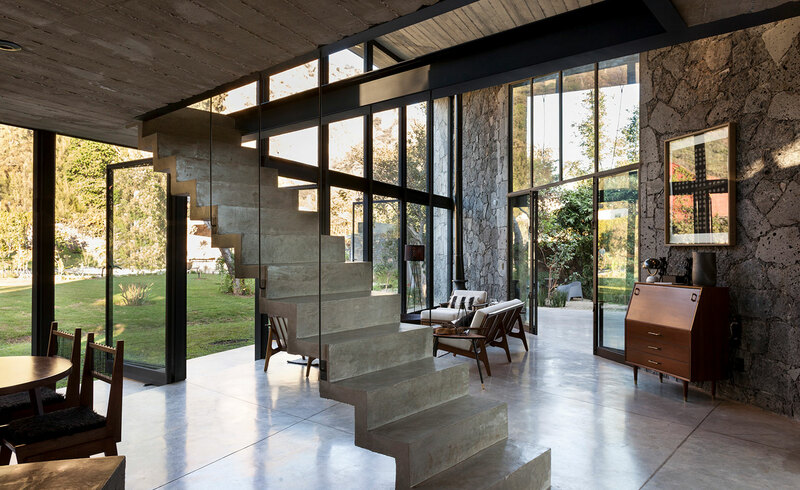 Nothing more,’ says architect Eduardo Cadaval of his latest project, MA House in Tepoztlán, a pre-hispanic village south of Mexico City known for its natural beauty, temperate climes and its popularity as a retreat for the Mexicana cultural set. Built as a holiday home, which will eventually become the main residence for its owners, the house is a monumental construction of volcanic stone and concrete. The controlled forms of two diagonal peaks follow the incline of the rocky mountains on either side of the site, bringing a sense of order to the landscape, yet also becoming a part of it. Architecture firm Cadaval & Solà-Morales sought to create an intense relationship between the house, the landscape and the inhabitants. Views of the mountains were opened up to the interior through walls of framed windows, and covered patios intersecting diagonally across the square plan connected three separate ‘pavilions’ beneath the same solid concrete roof, creating natural spaces for outdoor living within the circulation of the house. Sourced locally in the area, the exposed volcanic stone was the main construction material, authentically connecting the house to its environmental context. Selected by the architects as a low-maintenance and low-cost material, it also proved difficult to work with. Similarly economical and functional, the roof is made of waterproof concrete, which allowed the architects to leave the material exposed without any surface finishes.